ECSU students Latori Gregory, Robert Boone, Dorian Record, Alexis Martin, and TyKira Beasley made up the fourth place winning team in the Thurgood Marshall College Fund ‘Moguls in the Making’ competition. Elizabeth City State University students made their way to Detroit earlier this month for a chance to make their entrepreneurial dreams come to life. The Viking student team made its mark, ranking fourth in a competition that included 50 students from 10 HBCUs across the country. 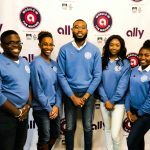 The competition, Moguls in the Making, brought together the Thurgood Marshall College Fund with Ally Financial, and entertainer and entrepreneur Sean “Big Sean” Anderson to help prepare the students to become future entrepreneurs and members of the business community. According to ECSU’s director of career development, Makitta Whitehurst-McLean, ECSU students Latori Gregory, Robert Boone, Dorian Record, Alexis Martin, and TyKira Beasley made up the fourth place winning team. The ECSU students were tasked with developing solutions to economic problems facing various industries. They pitched their ideas to a panel of expert judges comprised of entrepreneurs, small business owners, executives, venture capitalists, and other investors. Out of more than 500 applicants, TMCF selected 50 students from 10 HBCUs to compete in the weekend-long challenge. 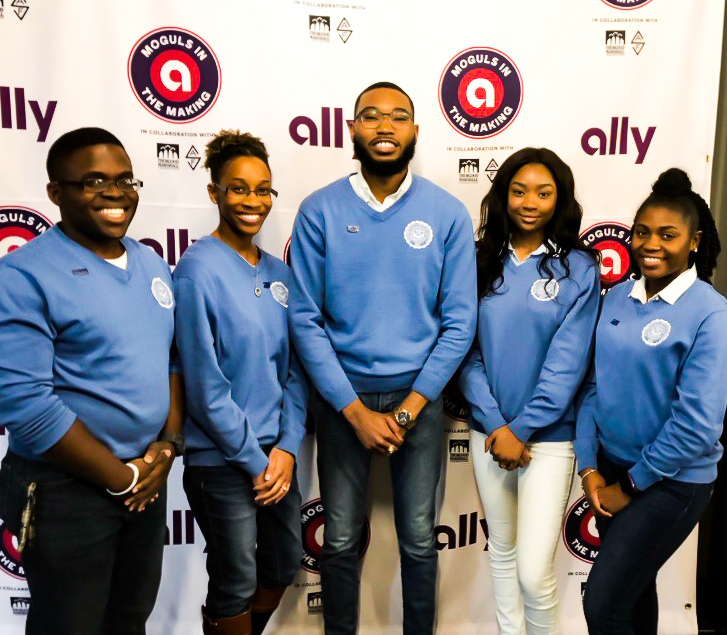 In addition to hearing from Ally chief executive officer Jeff Brown, the students participated in mentoring sessions, heard from local business leaders and attended financial education classes. For the competition, working in teams of five, they developed business plans that included solutions to economic issues facing various industries in Detroit. The teams pitched their solutions to a panel of judges which included: Anderson, entertainer and founder of The Sean Anderson Foundation; Andrea Brimmer, Ally chief marketing and public relations officer; Anand Talwar, deposit and consumer strategy executive; Tommey Walker, principal of Detroit vs. Everybody; and George Spencer, executive vice president of business development, innovation and entrepreneurship at the Thurgood Marshall College Fund.